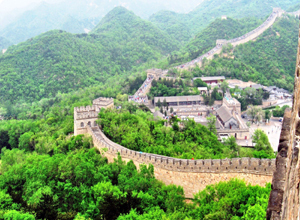 Upon your arrival, our tour guide & driver will pick you up at the arrivals, and drive to Badaling Great Wall (about 1.5 hours). It is the best-preserved part among the whole sections and also the most popular part that has the most people come to visit. Afterwards, drive to Mutianyu Great Wall which is one of the most beautiful part but less crowded. As it will take you a little long time (about 2 hours) to hike on it, it is optional to take cable car up and toboggan down. Back to the airport after the tour.